Practice is not something you do for a couple of weeks or a couple of years. It takes places over many lifetimes, for eons and eons. Because all phenomena appear to exist in their own right, all of our ordinary perceptions are mistaken. Only when emptiness is directly realized during completely focused meditation is there no false appearance. Generally speaking, I think it is better to practice according to your own traditional background, and certainly you can use some of the Buddhist techniques. Without accepting rebirth theory or the complicated philosophy, simply use certain techniques to increase your power of patience and compassion, forgiveness, and things like that. We might think, “If I meditate on compassion and think of the suffering of others, it will only add to the intense pain I already have.” We only think like this because we are narrow minded. If we do not want to help beings, then their suffering will be endless. But if we can develop a little compassion and make an effort to dispel the suffering of others, then that suffering will have an end. It is because of the intimate relationship between mind and body, and the existence of special physiological centers within our body, that physical yoga exercises and the application of special meditative techniques aimed at training the mind can have positive effects on our health. It is said that a real meditator never feels the lack of external materials. Through practice it is possible to perceive every sentient being as a friend. Meditation is the process whereby we gain control over the mind and guide it in a more virtuous direction. Meditation may be thought of as a technique by which we diminish the force of old thought habits and develop new ones. There are many kinds of meditation. There are some that do not require a formal setting or a particular physical posture. You can meditate while driving or walking, while on a bus or train, and even while taking a shower. The environment where you are doing the meditation should be properly cleaned. While cleaning, you should cultivate the motivation that since you are engaged in the task of accumulating great stores of merit by inviting the hosts of Buddhas and Bodhisattvas to this environment, it is important to have a clean place. You should see that all the external dirt and dust around you is basically a manifestation of the faults and stains within your own mind. You should see that the most important aim is to purge these stains and faults from within your mind. Therefore, as you cleanse the environment, think that you are also purifying your mind. When I am told that it is possible to reach a certain peace of mind in no time at all, I become skeptical. It would be like asking your physician for an injection of peace of mind. I think the doctor would burst out laughing. Meditation is a long journey, not a single insight or even several insights. It gets more and more profound as the days, months, and years pass. Keep reading and thinking and meditating. In Buddha’s life story we see the three stages of practice: morality comes first, then concentrated meditation, and then wisdom. And we see that the path takes time. A helpful object of meditation for all personality types is an image of Buddha, or some other religious figure, since concentration on it imbues your mind with virtuous qualities. It is said that meditation on love even for a moment far exceeds the merits accumulated through making infinite offerings to infinite Buddhas. 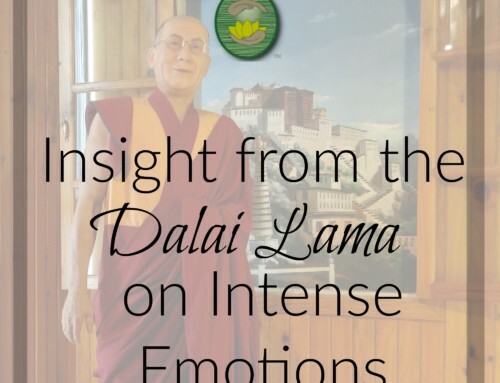 Think of morality, concentrated meditation, and wisdom as a blueprint for enlightenment, reminding us of the highest aim of practice- a transformation of attitude toward peacefulness, compassion, calm focus, and wisdom. Meditative posture is important, because if you straighten your body, the energy channels within the body with also straighten, allowing the energy flowing in those channels to balance, which in turn will assist in balancing your mind and putting it at your service. Contemplation of the advantages of attaining mental and physical flexibility will generate enthusiasm for meditation and counteract laziness.If we read the stories of the great spiritual teachers of the past, we find that they have attained spiritual realizations through a great deal of meditation, solitude, and practice. They did not take any shortcuts. There are certain states of mind that bring us problems, and they can be removed; we need to make an effort in that direction. Likewise, there are certain states of mind that bring us peace and happiness, and we need to cultivate and enhance them. Which quote resonates with you right now? Share in the comments! May I ask, why doses it say to eliminate onion and garlic from the diet? Great question Gail! My guess is it relates to the ayurvedic stimulation of the physical body. Anyone else care to weigh in here with thoughts? Guzman, thank you for sharing that classic and for giving me a chuckle, needed laughing energy and well timed! Buddhricua- I agree, the Dalai Lama’s message resonates with me personally too, hence why I write about his words! Interesting that out of all the quotes I’ve gathered over time none talked about the breath… I’ll look for some more and post at a later date. 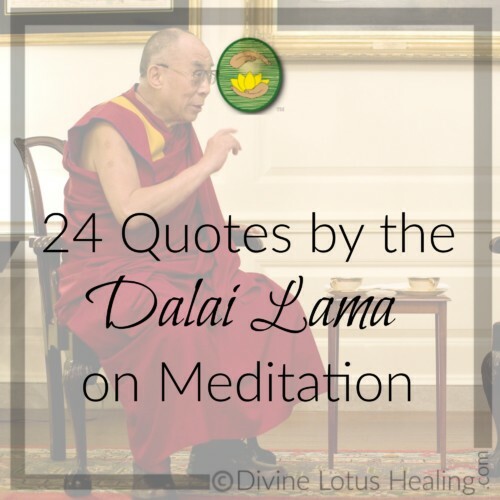 I really loved how the Dalai Lama defined meditation. I’ve seen it defined so many different ways and I thought his was by far one of the best I’ve read. I would of liked as well something regarding breathing because I’ve seen so many variations on breathing techniques and it’s always nice to get another perspective especially from someone with the experience of the Dalai Lama.